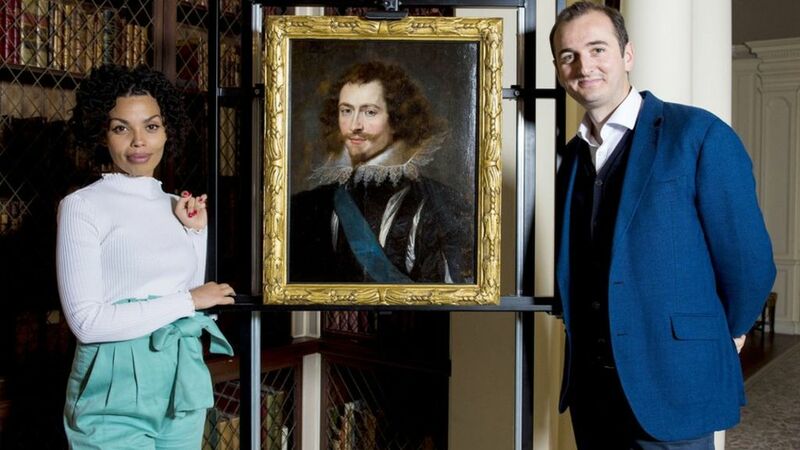 A “lost” portrait by Flemish artist Peter Paul Rubens has been rediscovered after almost 400 years. The 17th Century Flemish artist’s “head study” of the Duke of Buckingham was identified by Dr Bendor Grosvenor from BBC Four’s Britain’s Lost Masterpieces. It was in Glasgow Museums’ collection and on public display at the city’s Pollok House stately home. He said it was a “rare addition to Rubens’s portrait oeuvre, showing how he approached the genre”. The portrait of the duke in a doublet with an elaborate lace collar and a sash dates from around 1625. He was a controversial figure in the Jacobean era who rose from minor nobility to become one of the favourites of James I, who was James VI in Scotland. The nature of their relationship has been the source of much debate. Some experts claim they were lovers, while others believe it was a close platonic friendship. Renovation work carried out by English Heritage at Apethorpe Palace in Northamptonshire, one of the king’s favourite residences, revealed a secret passage linking the two men’s bedchambers. The Duke was assassinated in 1628 at the age of just 35, three years after James died. Overpainting of the background and other areas by a later artist, along with hundreds of years of dust and dirt, had obscured Rubens’ work. But scientific analysis of the wood it was painted on dated it to the 1620s, and found it had been prepared in a way done by Rubens’ studio. Additional cleaning and x-rays of the hair showed it was not a copy but was by the artist himself. The painting underwent conservation work by restorer Simon Gillespie to return it to its original appearance. It will go on display at Kelvingrove Art Gallery and Museum in Glasgow on Thursday. The painting will feature in the first programme of the new series of Britain’s Lost Masterpieces at 21:00 BST on BBC Four on 27 September.